Hans Holbein the Elder (1465?-1524). Born in Augsburg, Bavaria, the elder Holbein, like his brother Sigmund, painted richly colored religious works in the late Gothic style. In addition to the altar paintings that are his principal works, he designed church windows and also made a number of portrait drawings that foreshadow the work of his famous son. His later paintings show the transition from the late Gothic to the Renaissance style. He died in Isenheim, Alsace. Hans Holbein the Younger (1497-1543). Born in Augsburg, Bavaria, Hans received his first lessons in art from his father. 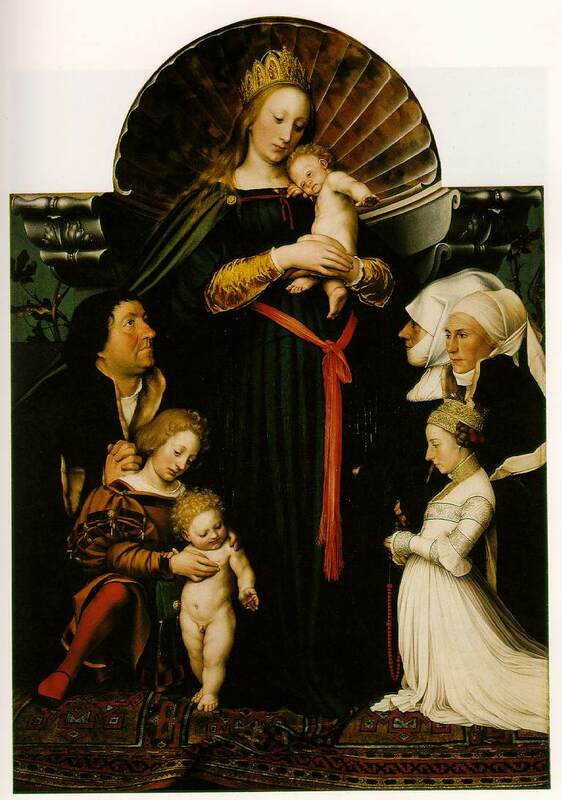 In 1515 the younger Holbein went to Basel, Switzerland, with his brother, Ambrosius. Among the many scholars living in Basel at that time was the famous Dutch humanist Erasmus, who befriended the young artist and asked him to illustrate his satire, Encomium Moriae (The Praise of Folly). Holbein also illustrated other books, including Martin Luther's German translation of the Bible. In addition he painted pictures and portraits and, like his father, designed stained-glass windows. He also created designs for a series of 41 woodcuts called The Dance of Death . About 1525 the factional strife that accompanied the Reformation made Basel a difficult place for an artist to work. 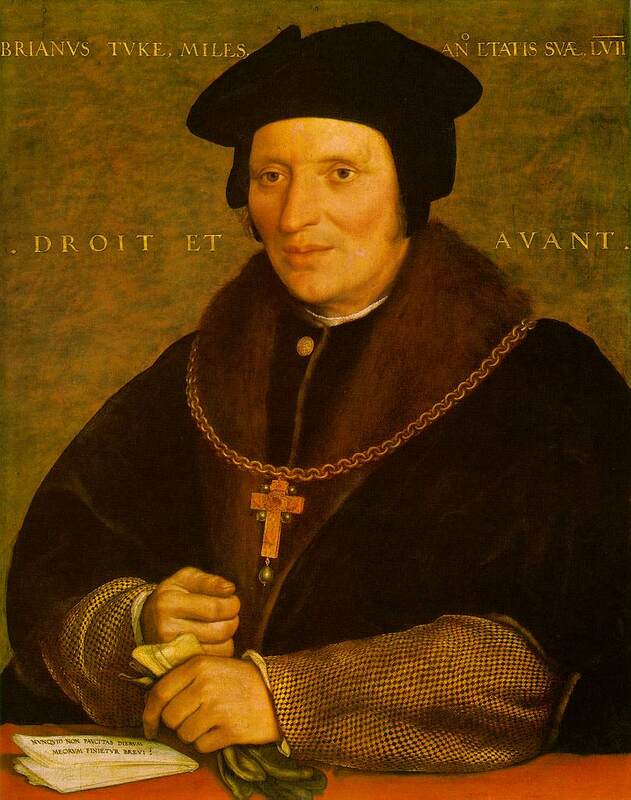 In 1526 Holbein, carrying a letter of introduction from Erasmus to the English statesman and author Sir Thomas More, set out for London. He met with a favorable reception in England and stayed there for two years. In 1528 he returned to Basel, where he painted portraits and murals for the town hall. In 1532 he left his wife and children there and traveled once again to London. In England, where he became court painter to Henry VIII, Holbein was known chiefly as a painter of portraits. His services were much in demand. The more than 100 miniature and full-size portraits he completed at Henry's court provide a remarkable document of that colorful period. An old account of his services at court relates that he painted the portrait of the king, "life size, so well that everyone who looks is astonished, since it seems to live as if it moved its head and limbs." In spite of their richness of detail, Holbein's portraits provide remarkably little insight into the personality and character of the people he painted. 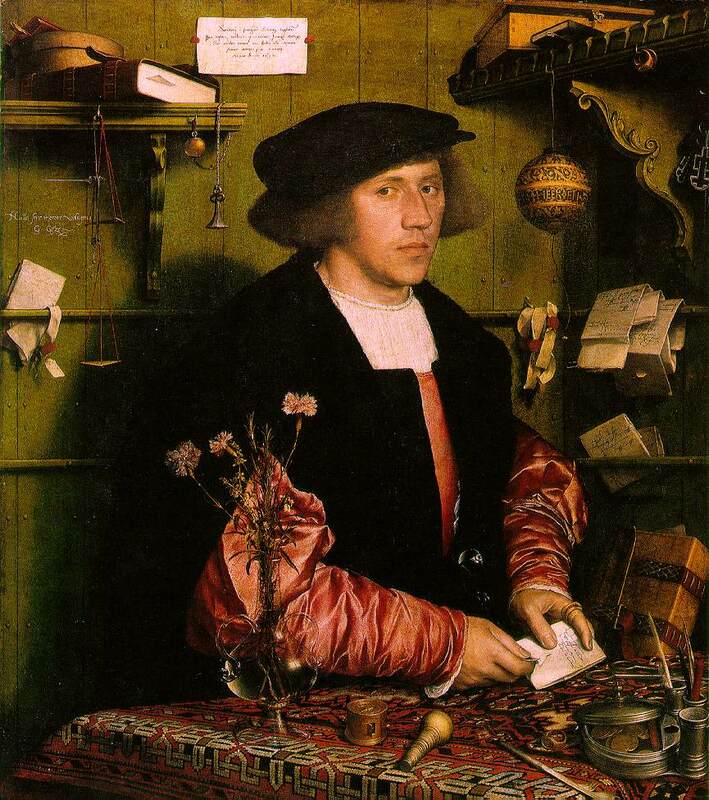 Holbein also found time to perform numerous services for Henry. He designed the king's state robes and made drawings that were the basis of all kinds of items used by the royal household, from buttons to bridles to bookbindings. In 1539, when Henry was thinking of marrying Anne of Cleves, he sent Holbein to paint her portrait. In 1543 Holbein was in London working on another portrait of the king when he died, a victim of the plague.